If Start menu is the only thing that keep users away from Windows 8/8.1 then Microsoft might very well bring the start menu back. 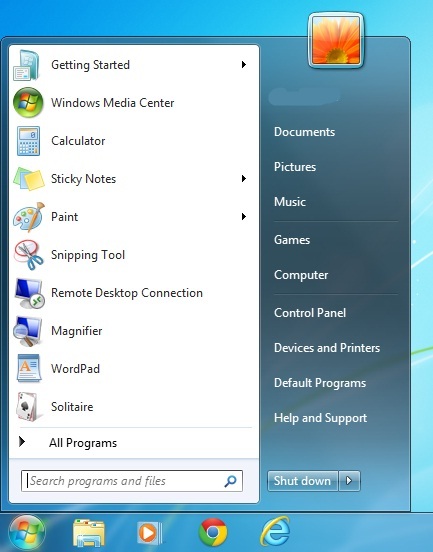 Here is the big question, Will Microsoft bring the start menu back in Windows ? May be yes with the Threshold update which will be coming out by early 2015. Excited ? Microsoft watcher Paul Thurrott is reporting via unofficial sources that Redmond is working to bring back the Start Menu in Windows Threshold, clearly in an attempt to show users that it really cares about their opinions. The Start menu will only be available to the desktop builds of the OS while the touch users will have Start Screen . Also Microsoft seems to be working in a new feature which will let you to run your Modern UI apps right at your Desktop !. Whoa.. If these things become true then Microsoft will not only able to boost the sale of Windows 8 but also capture the trust of millions of people around the globe. Releasing this update in 2015 makes sense because Microsoft wants to see how far Windows 8.1 with Start Screen can reach ! Do you like the Start menu or Start Screen ?